Striped cuffs for that retro varsity feel (even for indoor kids). Now in new spring colors. Pair with the Vivien Joggers to complete the look. Heyo, new fabric. 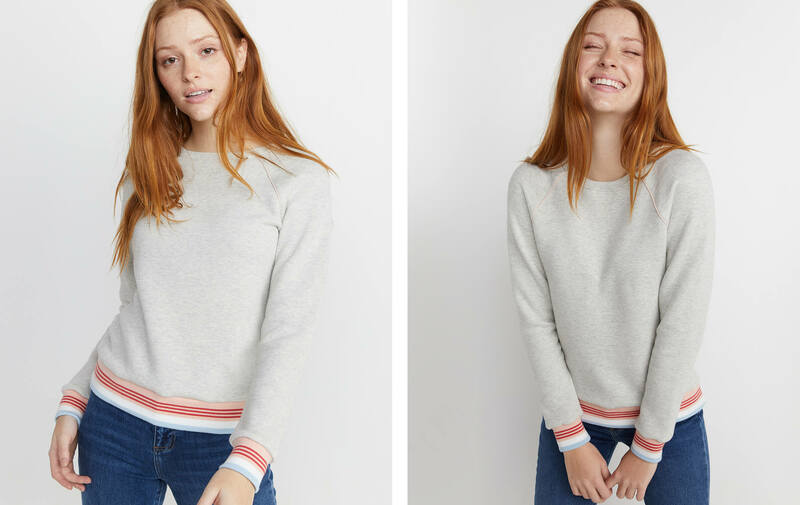 We took our already soft Tri-Blend, knit it into a loop terry, then fleeced it. Maximum softness level, reached. Haley is 5'9", wears an XS, and went to high school with Post Malone. So, Haley...can you get us free tickets?